Ancient Stones - Borders - 052 Dod's Corse Stone, Boon Hill, Lauder. 052 Dod's Corse Stone, Boon Hill, Lauder. 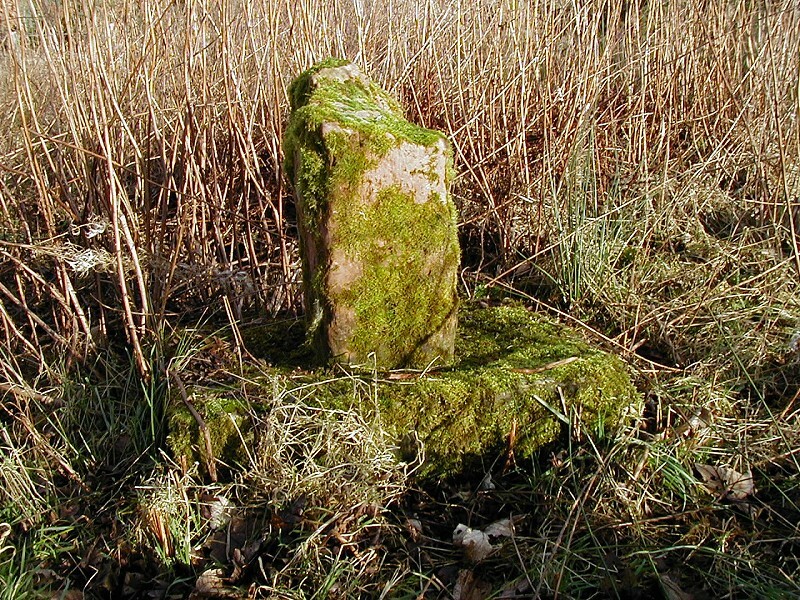 Dod's Corse Stone is a shaft of sandstone sunk into a square block of the same material, The remaining fragment of this stone has the shaft of a cross on opposite sides, in relief on one side, incised on the other. From the A697 Lauder to Greenlaw road, turn south onto a minor road at Dod Mill, leading to Legerwood. 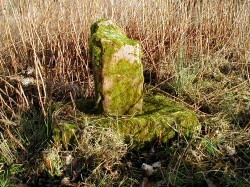 The stone is located along the centre fence line of the wood on the right before the Y-junction to Boon. By roadside at field entrance gate to south along minor road. The cross was not of an ecclesiastical nature but marked the spot where John Cranston of Corsbie was slain by James Wicht, who was tried on 3rd March 1612, and sentenced to be beheaded. This date is generally understood to fix the date of erection of the cross. It has also been said to have marked the place where a market was at one time held for the vicinity. Difficult to find when vegetation is high and lacks any interesting features.